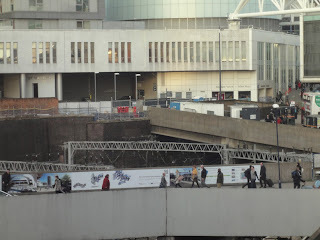 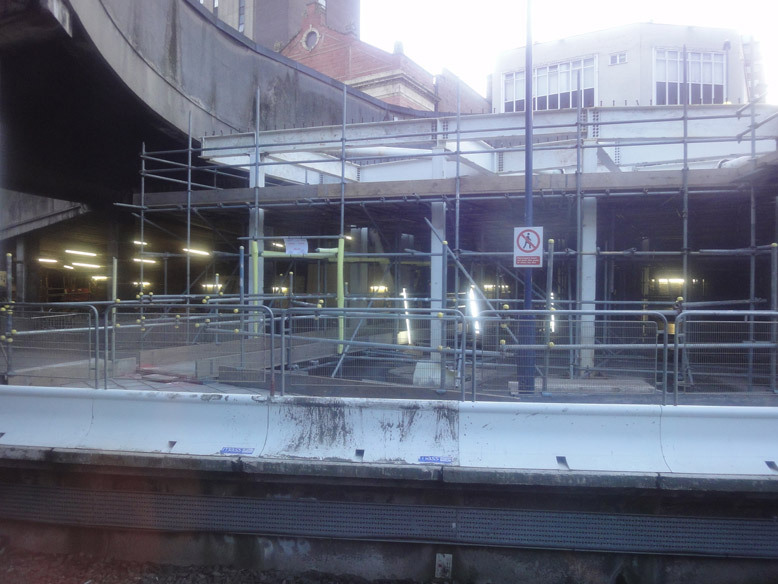 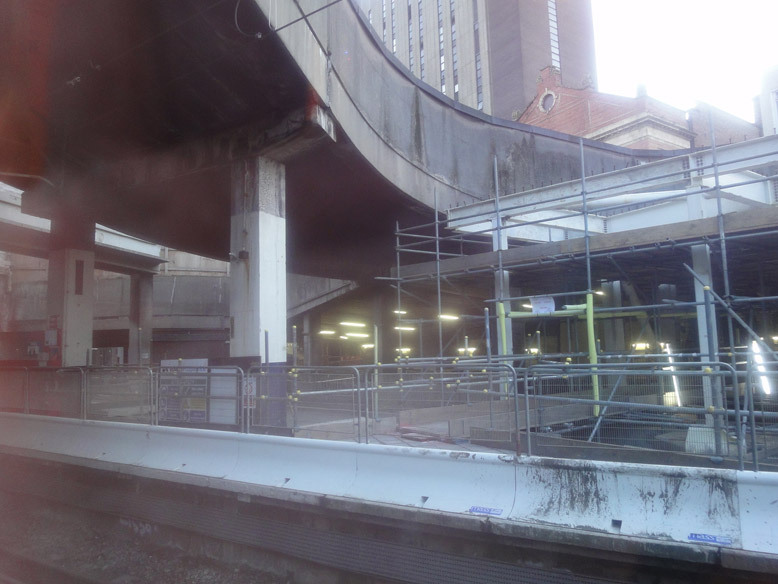 While work has continued apace on the redevelopment of New Street Station, mostly away from the public's gaze, the visible transformation is starting to become apparent. Work has moved along Stephenson Street, where prepatory work for the reflective steel cladding is being undertaken, to create the new north-west corner entrance. 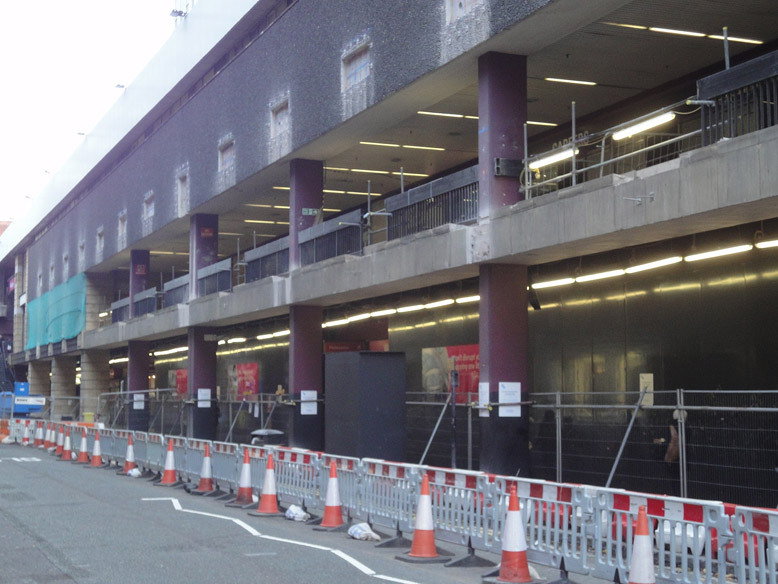 To allow construction work on this new entrance Birmingham City Council has agreed the road closure of Navigation Street on weekdays (Monday to Friday) with the road reopening at weekends. 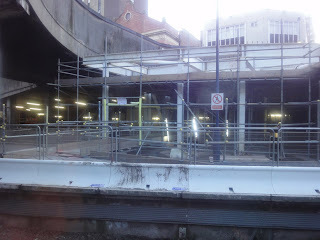 The new entrance will open at the end of December 2012 as part of the first phase of the station redevelopment and allowing work to take place on phase two redeveloping the existing station. 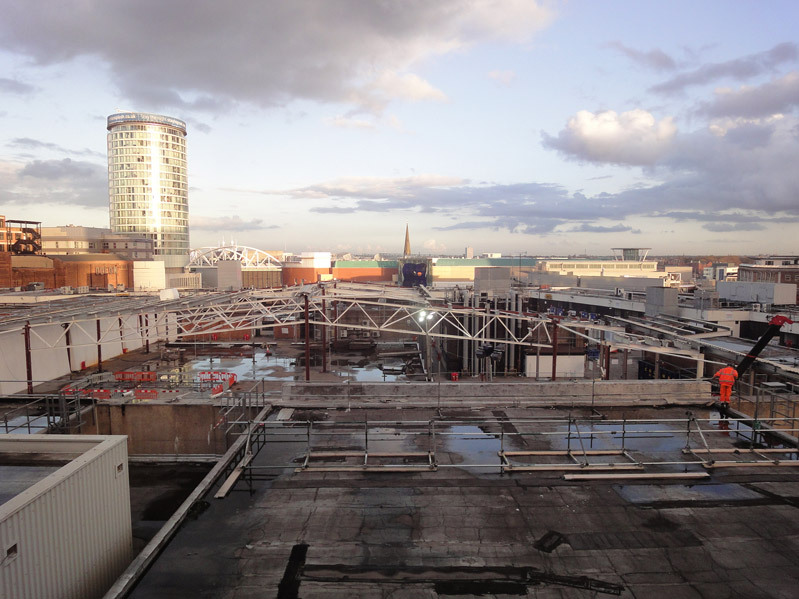 Meanwhile work will soon take place to create the new public square that will link the station to the Bullring. 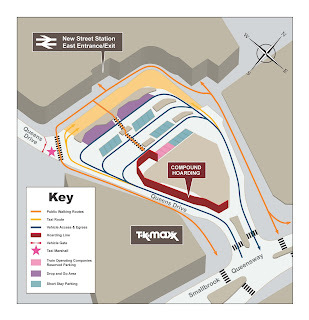 The first phase of the work to create the square will see the installation of a tower crane next to the existing approach to the front of the station adjacent to TK Maxx. There will be changes to traffic arrangements for this from Sunday 4 December with one of the two lanes on the approach road closed and a reduction in the number of short stay car parking spaces, Traffic arrangements at Birmingham New Street. 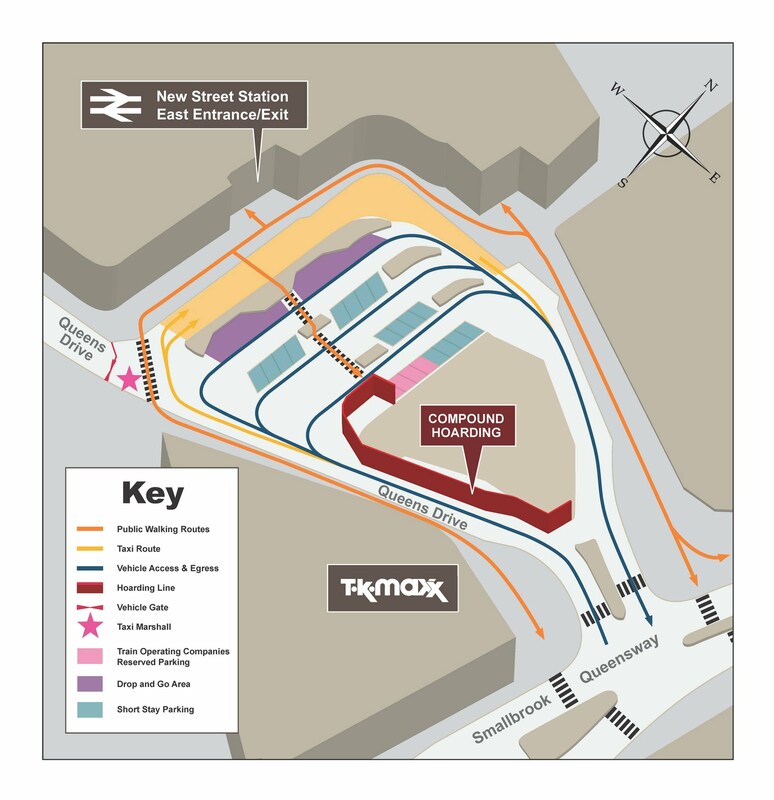 The image below, reproduced from http://www.newstreetnewstart.co.uk/construction-progress/latest-news/traffic-arrangements-at-birmingham-new-street.aspx, shows the traffic arrangements. 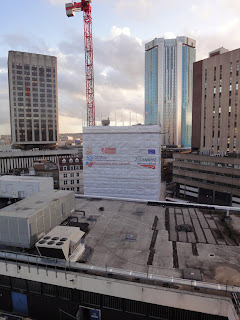 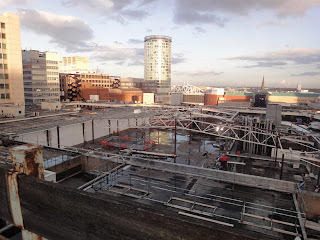 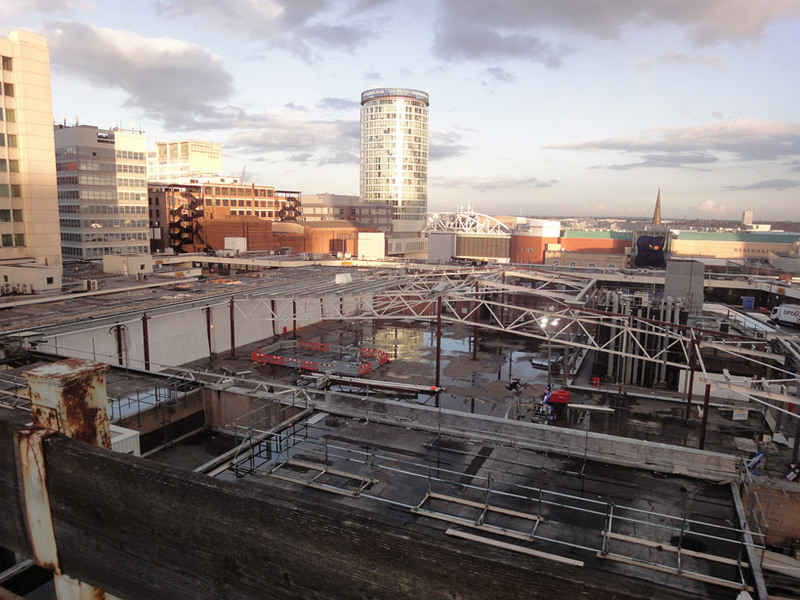 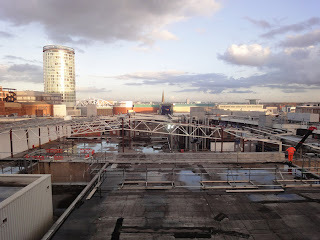 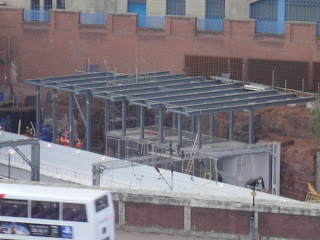 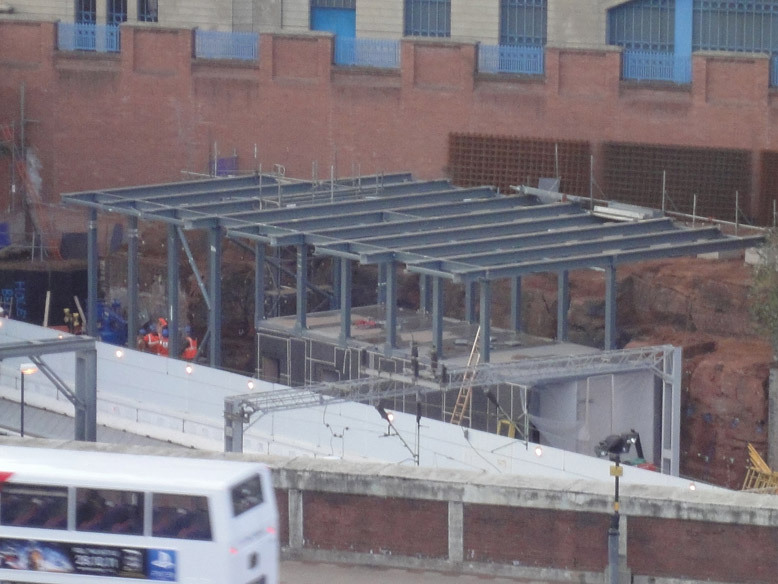 The following photos from the 1st and 5th November show ongoing progress around the station and most noticably the continuing demolition of the former shop unit on the Pallasades Shopping Centre roof and the deconstruction of Stephenson Tower with work also taking place on the pedestrian route behind the ODEON cinema.